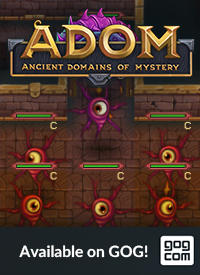 We are proud to announce the availability of ADOM 3.1.0 ("the T&T release" - talents & traps) on Steam as a beta version. You can find the instructions on how to activate the Steam beta here. 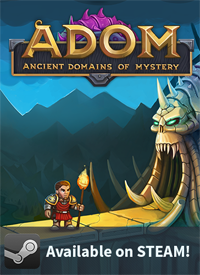 Additionally ADOM 3.1.0 is available to all prerelease testers from the crowdfunding campaign in the usual place. 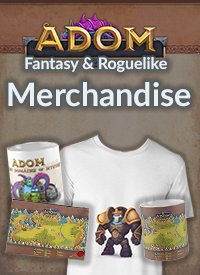 We have put quite a bit of thought into improving the talent system used by ADOM. Currently many people do not overly like it, talents have been somewhat unbalanced and only very few were deemed worthwhile the effort of taking them. I went through the many comments in our issue database and touched many talents in order to make them more interesting. This ticket contains a summary of all the changes implemented. The manual and online help obviously have been updated. The way traps work has been revised. There were lots of complaints about sudden death situations, etc. and the revised mechanics of traps try to take the recklessness of the player into account (e.g. if you storm through a dungeon with 1% of your hitpoints, death shouldn't be too surprising... if you are at full strength, there should not be any insta-death situations... and this with a sliding scale). Additionally there is the usual long list of bug fixes and minor enhancements summarized in the changelog. 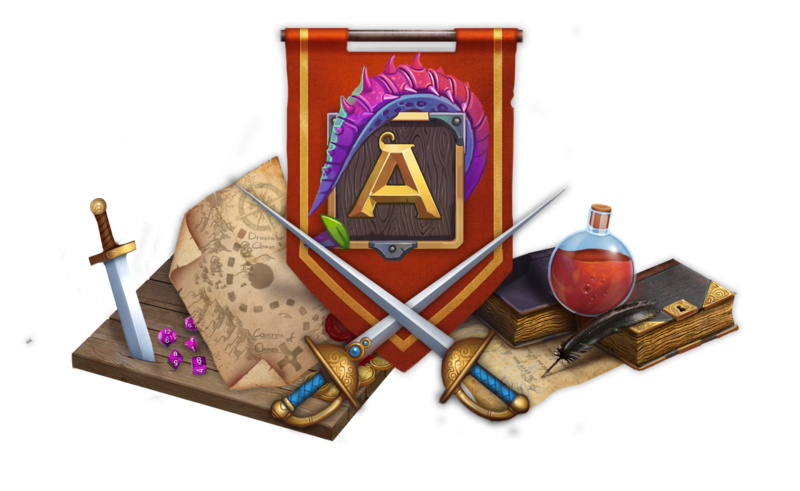 Please test the beta version intensely and provide feedback via our issue tracker as we'd like to release ADOM 3.1.x as soon as possible to all available channels. And now have fun hacking! P.S. : The next major milestone for ADOM 3.2.0 hopefully be the fully visualized PC equipment on the PC sprite. Our internal version already has made great progress but there are still kinks to be worked out before we can release it. Stay tuned! Changes on the talent system are awesome! I feel need of relooking all the talent choices I used to make now. Can hardly wait for official release to come! Heh, the last comment on visual sprites coming. It’s almost like you read my mind :p You should post a preview of some of those changes sometime soon, I think we would love to see them. In terms of the talent changes, I love them what I am seeing. Have you thought about giving the class powers of some classes the same treatment? I’m sure there a more a couple of classes that could use a little love too. I guess while we’re at it, maybe a couple of the Star signs could also be given a bit of love too. Every time I hear people ask what star sign they should take, it’s always either Candle or Raven. Would be cool to even the gap a bit I think. Yeaaah !! ADOM 3.2.0 !! Also, one simple request : shall we be able to save character presets or maybe just immediatetly restart a game with last played character ? I am really hopeful that as you build your system, you do keep in mind the possibility of multiplayer. Its not hugely difficult, but I imagine it would be MUCH easier to consider this now rather than later.